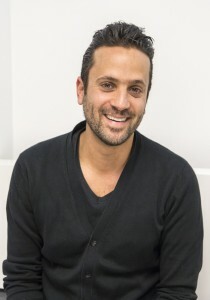 Author: Nir Hindi, Founder of EncontrArt. Art is a global success. T he image of an old and boring world has changed to an image of a cool and upscale world, with the right kind of people. More and more museums, galleries and art spaces are open yearly; art fairs, private museums, collectors, artists – all feed into a new image of desirable place to be. How big is the success? For example, in 2012 alone more than 850m people visited American museums, more than all the big-league sporting events and theme parks combined! Though art became very popular, the art world still misses young professionals. Less than 20% of museum visitors are below the age of 40 (Source: The Economist Museum Special Report). These young professionals are high-profile and educated. Surveys show that a better-educated person is a lot more likely to engage with art. The reasons for this relatively low number vary – from an “elitist” and closed image of the art world, to art activities offerings that are not appealing to younger audience. However, the surveys show that this segment group is interested in art and wants to engage with it more. The fine art world has always been connected to the business world. The traditional view of the relationship between business and art has been very straightforward: organizations were the patrons of the arts and the arts were giving social cache to businesses. However, this reality has become far more complex and nuanced over the past few decades. Now, in our new global art and commercial markets, there is a new and more interesting relationship between those two fields. Besides art’s financial aspect –as an investment tool- it also withholds a much greater value for business: the relevance of the arts as a mean, through which management can enhance the capacity of organizational value creation and boost business performance. This value added is now much more recognizable. In a fast-paced environment, creativity and innovation play a critical role, and companies are actively seeking to create environments that will enable them to innovate. “Entrepreneurs are the artists of the business world” said Kevin Daum, and we couldn’t agree more. Daum’s quote is one of our favorite quotes since it captures the essence of entrepreneurs and artists – both are alike, and each uses creativity to innovate. This is where EncontrArt Steps-in. EncontrArt is a community for young business professionals which aims to provide knowledge and familiarity for young people who are interested in art and in its business aspect as well. The community is dealing with different aspects of the art, business, and technology. Our activities bring leading professionals from this world: gallery owners, artists, collectors, investors and others who bring their experience into the community and educate its members. We started in November 2013 through the IE community and organized more than 10 different events: from visiting a famous artist’s studio, to a special tour at Arco Art Fair. The benefit for our members and in IE case, the students, who are the future managers in many businesses and industries, is even bigger when they have the ability to learn more about creativity in the art. The future of innovation (we highly encourage you to watch this video – “Why the future of innovation belongs to artists”) lies in the ability to challenge the status quo and to encourage creativity. Art encompass it all: challenges, creativity, asking questions and promoting ideas. In order to support our community we are also running a blog that explores the intersection between Art and Business (ArtandBusiness.co). We make an effort to bring topics which are relevant to young professionals. For example if you are a Marketing Manager, you probably would like to see examples of collaboration between business and art such as Apple’s new project – “start something new”; If you are interested in Improving Your Management Skills, you might want to read the article about the importance of “gut feeling” in your career and how art can help you develop it, or maybe learn from Marissa Mayer, Yahoo’s CEO, about how art influenced her success while working at Google. If you are interested in Creativity at Work, or how to initiate it among your employees, you might want to know why Apple teaches its employees lessons about Picasso. If you are interested in Venture Capital you may want to know about this new trend and to learn about the rise of Art Startups. As you can see, all our activities aim to assist our members to learn more about the art. But these activities we believe can provide more than knowledge – they can provide its adherents with intellectual satisfaction, emotional stimulation, opportunity for self-expression and creativity, financial gain and more. We will be happy to see and meet new members in our activities; for more information visit our website, read the blog or contact us.